The Sunday Trading Act of 1994 was a mixture of good and bad news for both the traders and their customers. 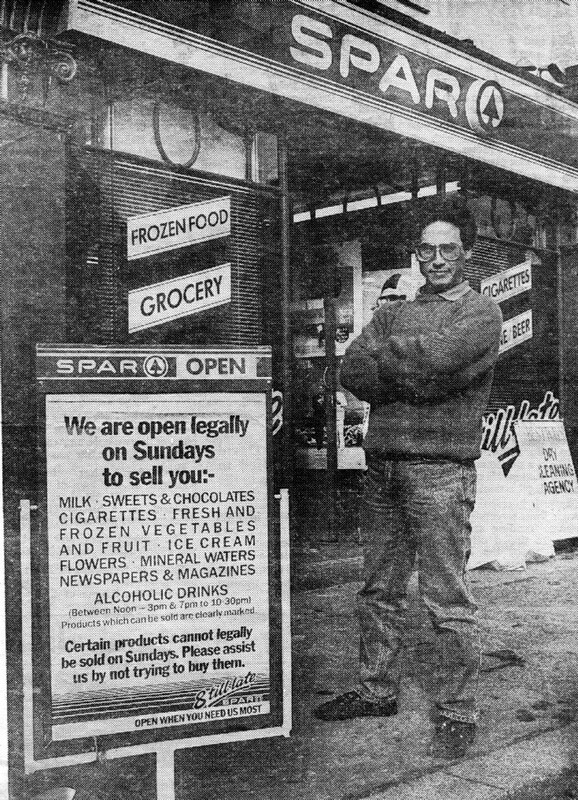 The opening hours for large shops became limited to 6 consecutive hours between the hours of 10.00am and 6.00pm, while for small shops like the Spar shop in Handcross High Street no restrictions apply. With a certain amount of irony the Act came into force on 26th August, 1994, a Friday! Standing outside the shop is Vince Bohannon who ran the business with his wife, Julie. The Large Version shows a closer view, in particular of the placard announcing the changes.